Covenant Relationships: Help! 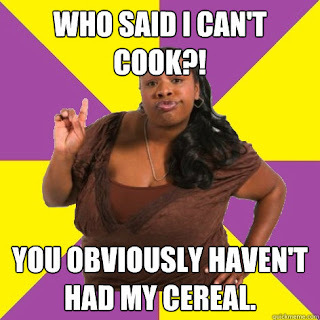 My Wife Can't Cook!!! I have come across this as a complaint and a question many times. 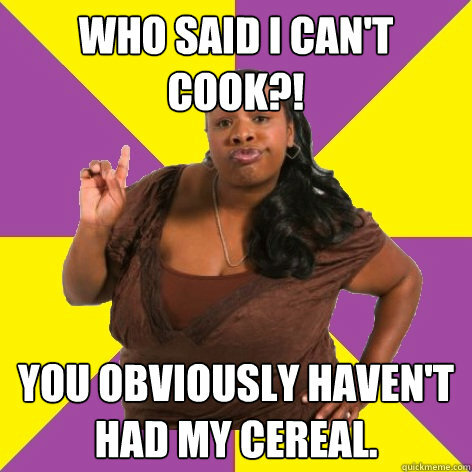 What if my wife-to -be can't cook?” or just the blatant declaration “my wife can't cook”. Sometimes it’s a matter of taste preference and other times the lady has just not had enough experience in the kitchen. I think the problem is not what if my wife can't cook but what if she doesn't want to know how to cook? For some people cooking comes naturally and to some it doesn’t. On the issue of taste preference, marriage is the coming together of two different people from two different backgrounds. Your wife might know how to cook, but what you call good cooking might not be the norm in her background. What she got used to in her parents’ house may not be what you were used to while growing up. The answer would be to teach her what you want or better still enroll her for some catering classes. If a wife cannot cook, she absolutely needs to learn. If you can cook better than her, spend time with her in the kitchen while you're at home and offer suggestions on how the food is spiced so she gets used to your preferences this also helps bonding. I know you guys find the kitchen boring, so play some music while you're in there. To be a responsible wife, you need to handle finances well. Eating out is very expensive and buying food isn't healthy. Try tracking for a whole month what it would cost to buy all your meals and see what that would cost. Every husband would appreciate attention given to health and finances. Women are the matriarchs of the home so they should know how to put together a decent meal. I refer not only to taste when I say decent, but also to nutritional content. For example, my friend’s husband was diagnosed with an illness that is directly related to high cholesterol foods. The doctor told him to stop eating red meat entirely. She had to learn how to prepare fish(which he detested before) and chicken in a way that would be appetising and delicious. Then, have you ever met those women who say “I'm a well educated career woman who will not spend her life in the kitchen so it doesn't matter if I can cook or not.” My response to that is; If you're so well educated that’s good because it is easier to learn to cook than to study four figure tables. “If my wife can't cook I will hire a cook”. Hiring a cook is not a solution, if your cook resigns will you be forced to buy food or eat instant noodles until you find an new cook? You see, one needs to be self sufficient. God forbid something happens to the other person. One needs to learn the skills to survive as a independent person. If a man or a woman does not know how to cook, he should learn how, whose responsibility it is to cook the meals depends entirely on the couple. Yes, women should be able to cook but I feel men should be able to cook also. I'm not saying they should take over the cooking but it’s a useful personal skill just like driving. I have a dear friend who is from the Yoruba tribe of Nigeria, who told me that before she married her husband she could barely boil rice. She said they had a cook since she was a child and so there was really no need for her to cook. When her fiancé proposed, he knew she couldn't cook and being one who liked good Igbo food, he decided to teach her. Now he says she cooks soups that taste a delicious as his mother's soups. But with anything in life the saying “practice makes perfect" holds true, so ladies practice your cooking skills and to all the men out there, "patience is golden" It takes time to become a great cook.